We built a platform for the crypto BO trading Industry and Good Wallet for trader. Traders will lost all their money if broker company shuts down or is run away. It is the worst situation many traders face. By using KIMEX.io all funds are safe even KIMEX.io platform can't access the funds since all funds are stored on ethereum blockchain. On non-regulated platforms, the client's money is not necessarily kept in a trusted account as required by government financial regulations. Again, transactions are not monitored by third parties in order to ensure fair play.By using KIMEX.io, every transaction and bankroll funds are viewable on ethereum blockchain. Traders will get guaranteed payout if they win. Just a small change can influence the result of a trade. By using KIMEX.io no one can change the price data as it is being fetched by smart contract and stored in blockchain. January 2018 KIMEX Platform idea. February 2018 Technical & strategy devlopment. September 16th 2018 KIMEX ICO start. Mar 2019 Launch Decentralized Binary Options Platform powered By Blockchain. June 2019 Launch Internal Exchange Market. 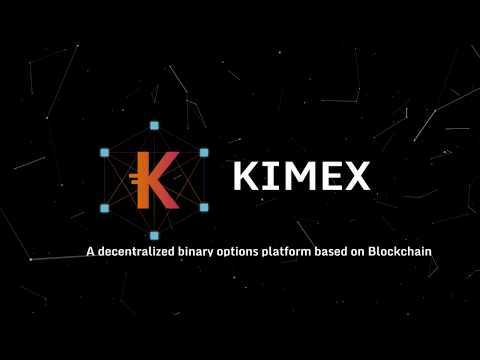 December 2019 Launch KIMEX Wallet. March 2020 Launch Mobile App KIMEX.io. July 2020 Launch new office in Singapore.